It feels that the moment the sun comes out, the world becomes a frenzy of colour. As fashion-forward women our reaction is, of course, to reciprocate and adorn ourselves with every beautiful hue there is going. 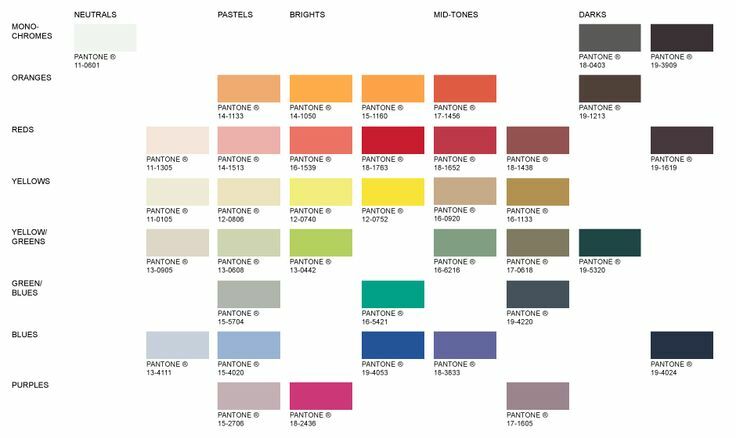 But, when it comes to choosing which colours are not only stunning, but actually on-trend, the season can be a little confusing. Of course, we have our old favourites – those spring/summer-time pastels, but if you’re after something with a little more umph, you’ve come to the right place. As you can see, those trusty pastels are still, as ever, present, but there are some more unusual tones to experiment with, too. My personal faves are of the mid-tone variety – all bouncily bright but definitely with the potential to work as understated flashes of colour, if that’s more your thing. The first is Pantone 18-2436. This gorgeously deep, dark fuchsia is a much more grown-up version of pink and, let’s face it, everybody loves pink. Pink is, after all, the new black, and there’s no classier a way to wear it then with this lovely shade. The second is Pantone 19-4053. Blue’s one of those colours that looks great on everyone, working with every skin tone. It’s also wonderfully easy to wear, as blue is renowned for being the least clashing colour out there. If you’re looking for one statement item you can wear with anything and everything, this is the tone to go for. Bags, shoes, jackets, accessories: here we come! The third is Pantone 16-5421. Ah, fresh sea air anyone? This striking shade is everything beachy and more, perfect for a day at the seaside, or even if you just want to feel that fresh ocean breeze where you are. The slight minty tone adds a whole other layer of freshness, too! The fourth is Pantone 18-1652. This sumptuous berry red is simply to-die-for. The slight ashy, husky hue adds a super sultry vibe, just emanating passion. If you’ve got a hot date or two this summer, this colour is undoubtedly for you. The bluish undertones of this particular shade of red make it easier to wear than warmer reds, too, so don’t be put off. So now it’s time to hit the shops, we insist! And try something daring this season. We all love pastels, but why not shake things up just a little? You never know, you might just find your new navy.